We will be happy to provide you with an online quote. This will not book your order. It is only a quote and you must contact us further to arrange to book your order. A list of questions are on the form that will better help us give you an accurate quote. You may choose to pick up most items or have them delivered.You do not have that option with a tent. We must set the tent for you and we need to know the type of ground that the tent is going into/on. There are two types of tents avaiable. A pole tent and a frame tent. 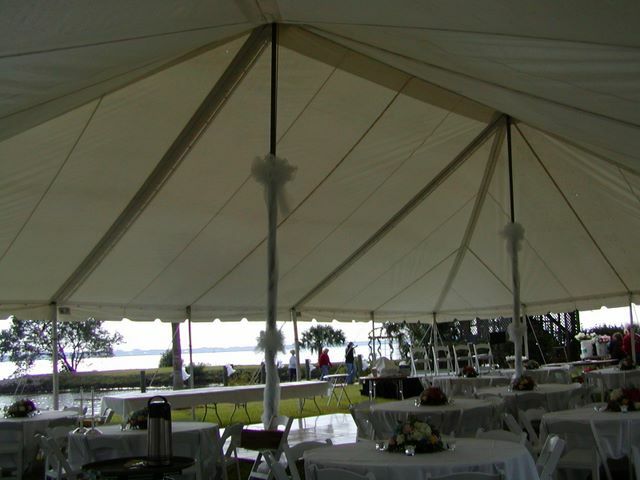 A pole tent has poles down the center to hold up the top.A frame tent does not. Pole tents cannot be set on ground that they cannot be staked into. There are images above to reference. The form button is located at the bottom of the page. 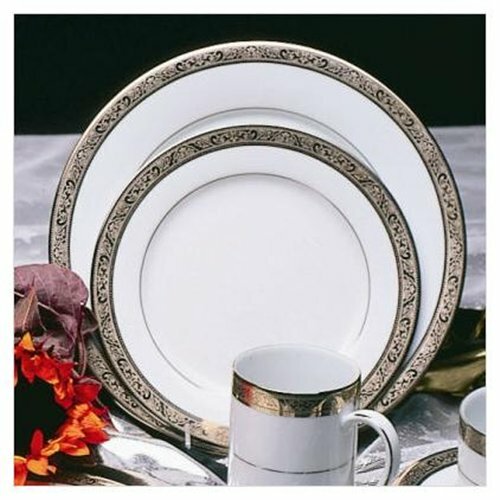 Below are charts for table linens and for seating to help you choose for your event. We have more sizes than what is listed below but these are some basic sizing/seating guidelines. We also carry spandex table covers. 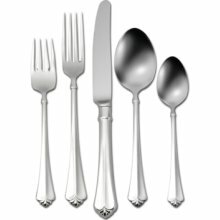 For a list of what linen colors and table sizes we carry please see our "Rental Items" link. 30" table seats 2-3 people. 36" table seats four people. 60" table seats 8-10 people. 72" table seats 10-12 people. 6' banquet table seats 6-8 people. 8' banquet table seats 8-10 people. 132" round linen will hang to the floor. 120" round linen will hang to the floor. 108" round linen will hang to the floor. 108" round linen is long enough to create a puddle on the floor. 90" round linen is the perfect length to hang to the floor. 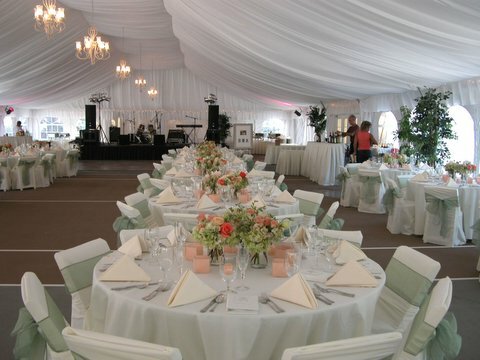 132" round linen covers the entire table and is the perfect length when cinched with a sash in the middle. 120" round linen covers the entire table and hangs to the floor. 90" round or square sheer is a classy embelishment to your cocktail hour. A square sheer over a 120" round basecloth looks great as these smaller overlays hang beautifully down over the side of the table. 132" round linen makes a great flounce over a 90" x 156" conference basecloth. Let it embellish you buffet table by sitting on top or hanging over the edges. 120" round, 108" round, 90" and 64X64 also make decorative top cloths that can be folded, flounced or layed flat over a basecloth. 90" x 156" conference cloth is the ideal size to fully cover your banquet table. This cloth will hang to the floor on all sides. 90" x 132" goes to the floor. 132" round linen will fully cover this table, with two sides being puddled under the table. 60" x 120" rectuangular linen creates a drop over the side that hangs 15" front and back. 90" x 132" rectangular cloth hangs to the floor. 90" x 156" conference works well to fully cover the table. This tablecloth can be folded once so all sides hang perfectly to the floor or the ends of the table will have a slight puddle.